Facebook recognizes the importance that a profile can play in remembering departed friends and family. Via a form in its help section, Facebook accepts requests to place accounts in a memorialized state. Once the request is approved by Facebook the account’s privacy is restricted to friends only and certain sensitive information is removed. The profile and wall remain active for friends to post memories and condolences. It is our policy to memorialize all deceased users’ accounts on the site. When an account is memorialized, only confirmed friends can see the profile (timeline) or locate it in Search. The profile (timeline) will also no longer appear in the Suggestions section of the Home page. Friends and family can leave posts in remembrance. If you need to report a profile (timeline) to be memorialized, please click here. We will process certain special requests for verified immediate family members, including requests to remove a loved one’s account. 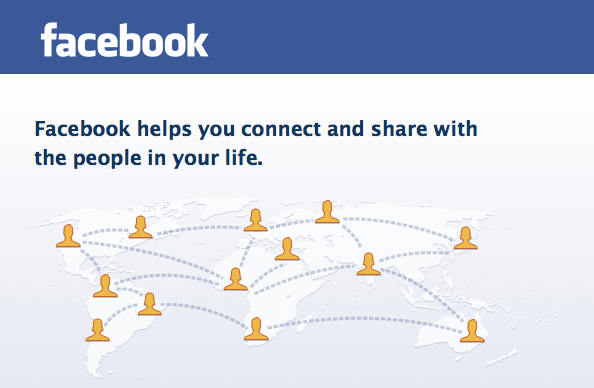 This will completely remove the profile (timeline) and all associated content from Facebook, so no one can view it. If you are an immediate family member and would like to request that we remove your loved one’s account from the site, click here. You may also use this form if you have a special request regarding the deceased user’s account. If you want to have a say in what happens, you should leave instructions in your will. This will allow you to grant your heirs the right to a download of your account’s data or leave instructions to close the account entirely. You could instruct your executor to memorialize the account. If you want to leave a goodbye message for your friends, there’s an app for that. ifidie allows you to leave a text or video message behind, which it will automatically post upon your death, after three friends or “trustees” agree that you’ve passed away. If you’d like to create a more comprehensive digital estate plan, we have numerous resources available here at The Digital Beyond, including our list of service providers. 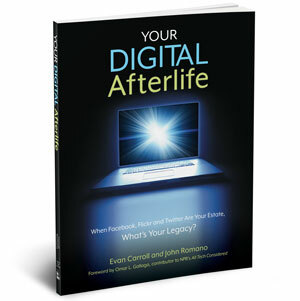 And if you’re looking for a step-by-step guide to planning your digital legacy, our book, Your Digital Afterlife, does just that. We also have a website dedicated to the legal aspects of digital estate planning called Digital Estate Resource. 29 Responses to What happens to your Facebook account when you die? Facebook says to protect the privacy of the deceased user they will not disclose login information? Huh? There is such a thing as a deceased person’s “privacy”, um sorry Facebook – the privacy of a deceased person dies with them! Hilarious! 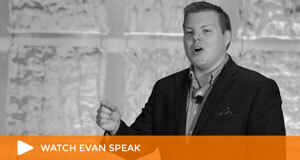 Thought prevoking and interesting. So, if I leave my heirs my login and password,and no one reports me dead…I could virtually live forever? I, myself, like the thought that I still should have my own “privacy” in death, as in Life! Why not? I want just as much consideration in death as I have in my Life!! Thank you Facebook/TimeLine for thinking of those of us who feel this way!! For those that don’t, let them do what they want with their’s ,but not with MINE! An increasing proportion of our lives are carried out online. What happens to our digital assets – e-mail, blogs, pictures, music, social networking sites etc – when we die? We rarely consider what will happen to all that personal information; how comfortable are we with fragments of our lives floating around the internet? Remember that the passwords you have, songs you keep and communications you write are your property. Like any other property you own, it’s important to consider what will happen to it when you die. Do you want others to see or have your digital property? Would you like it to be deleted? Also, ask yourself what organisations intend to do with your information when you are gone. Because the law is always playing catch up when it comes to new technology, it is important to make decisions about your digital property now. Sensibly over 10% of newly written wills contain information about online passwords. As your passwords change far more frequently than visits to your solicitor could practically allow, it makes sense to log them with Afterme. Its the first time I’ve heard of Facebook offering the Materialization service of a profile. Just like online memorials, its already setup with pictures and friends, I think its a wonderful idea. Ated. How can I get a download of his site so I can preserve it ? I’m sorry for your loss. I wish I could help directly, but there’s not an easy way to do so. The best thing to do is email Facebook and see if they’ll help. I’ve heard of them helping folks in your situation. Hi good info there straight to the point, if you need help making an actual Will please go to: http://www.legalbot.co.uk and our qualified law graduates will help you create your own Will or appoint your own Power of Attorney. This is a very interesting situation, one that hadn’t occurred to me. Millions of Facebook users though, so I suppose it’s a very real issue for very many people. Facebook mentions “prior consent,” but I haven’t found any way to tell them who has that consent. Does anyone know of a link where I can do that? My next-of-kins have my login info, but I’d like to cover that base with FB, too. I wonder if this is real, or if it’s just Facebook trying to give the impression that their humane and accountable to people’s interests, rather than just a mega-huge, money-driven business. I really don’t think Facebook will care people, they just want to seem like they are human too and that way they try to get more attention from media. Questions like this one are why http://www.socialfarewell.com was founded. If this is a concern of yours, please stop by our website to learn more. Thanks for this informative post. I found similar service mentioned here http://www.wfaa.com/good-morning-texas/Tech-Tuesday-Social-media-wills-151526665.html called http://www.plannedDeparture.com. My husband passed and someone reported his profile to be memorialized. Log in information no longer works. Please check out AfterWordsHQ with a dot and then a com after it – the service allows you to pass important info to the people you leave behind. Tell someone you love them one last time, or have someone post a last message to your Facebook account, or give them the info they need to close it. Or, tell your kids where to find your will or any plans you might have for your services. AfterWordsHQ can help get that done for you. Hopefully this is helpful info for someone reading this article. En http://www.milegadodigital.com hacemos cumplir tu voluntad digital para que no dejes nada pendiente. My boyfriend passed away in April,I requested for the account to be blocked then they sent me an email and I replied with the necessary answers but his Facebook account is still on.Help! My husband passed away 2 weeks ago in a car accident. due to confusion and mental exhaustion I wasn’t able to remember my husband’s password . please im begging we have a lot of old photos and messages that I want to print and save .. please help me how can I recover his password. please ……. This has served as a great memorial to some dear deceased friends of mine. It’s great that the profiles are restricted to friends. My husband passed away in August. I am his legacy account holder. Anyway what about messages he sent to me directly over messanger, do they not become my property? If his email account was deactivated…I would still have the emails he sent me. Right! Then why would fb take our messages and remove them? I understand not being able to respond etc…but to remove my property. Once they were sent then why cant I keep them as they were sent to me. Just goes to show how difficult it is to drop off the radar. Greater concern is how will “baby boomers” cope when they start losing their memory and forget the myriad of usernames & passwords on a multitude of websites. Even remembering how to use the internet. Scary thought.